YOUR CHILD’S FRIENDLY NEIGHBORHOOD BANK: Community banking can help make your kids money smart. Kids love advertising. And advertisers love kids. Advertising drives many of the perceptions held by our youth on everything from society in general to the kind of breakfast cereal they think they prefer. However, when it comes to banking and money, kids are usually not the targeted consumer. 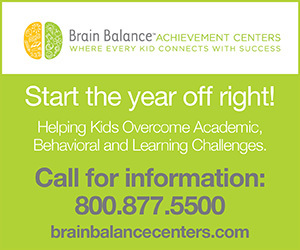 When is the last time you saw or heard a big retail bank advertisement aimed at kids? We all try to be good parents out there, talking to our kids about money when we can, right? We use the conventional wisdom of asking them (or ordering in some cases) to save. We come up with elaborate (and what we think are motivational) methods of providing a stipend or allowance. But isn’t there something else we can do on a regular basis that provides a tangible and community-based way of helping youth understand ways to soundly manage money? Try taking your kids to the bank. When I was a kid, I actually looked forward to a visit to the bank with Mom or Dad. Today, it seems like we’ve lost a lot of the “main street” banking feel with larger institutions. Most banking has become impersonal, with less emphasis on relationships and more on immediacy and electronics. Even if parents do take their kids with them into the bank, the most they get to do is stand in line. Community banking works and thrives on a very focused principle: forming and cultivating relationships with the people in the communities they serve, both for personal and business banking. Community banks work when the people and businesses in that community are successful. That’s why community banks regularly reinvest in their communities; and why every person who walks through the doors of a community bank is usually greeted by name. Community bank customers know their banker, too. These could be considered reasons why a community bank is a “kid-friendly zone.” If a kid visits a community bank, they’ll quickly understand that it is a people-based institution. If you ask and engage, the first thing that will likely happen is that your child will put a friendly face with the idea of money management and banking. That’s important. It’s not all about boring paperwork, cashing checks and handing over cash to someone behind a window, all to get a little slip of paper in return. Your child will quickly learn that banking can be about people and relationships. It doesn’t have to be the same for each visit, either. One time you can show them how an ATM works. The next visit could be inside the branch, where you can have a quick conversation with the manager or business banker, giving your child a sense of what that person does. Another time you could show your child what you’re doing at the teller window. The bottom line is to just help your kids engage. Often, the first way that many parents help their kids get started with money management is through savings accounts. 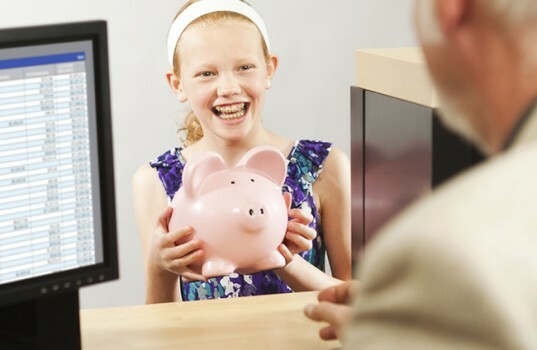 Most community banks offer a great entry-level savings plan for kids. Remember, community bankers are all about solutions. Your banker will likely have some good suggestions on accounts that are a good fit for your needs. But above all, make sure you take your kid with you for the account opening at the bank branch. Instead of handing them a paper that says their money is in the bank, a personal experience at the bank will help them make connections with their money and show them what kind of resources are always available to help them manage it. Matthew Terry is a parent of five children and is Vice President, Director of Marketing and Media Relations for Independence Bank. He can be reached at (949) 266-6033 or mterry@iBankCA.com and www.iBankCA.com. Independence Bank is a Member FDIC and an Equal Housing Lender.